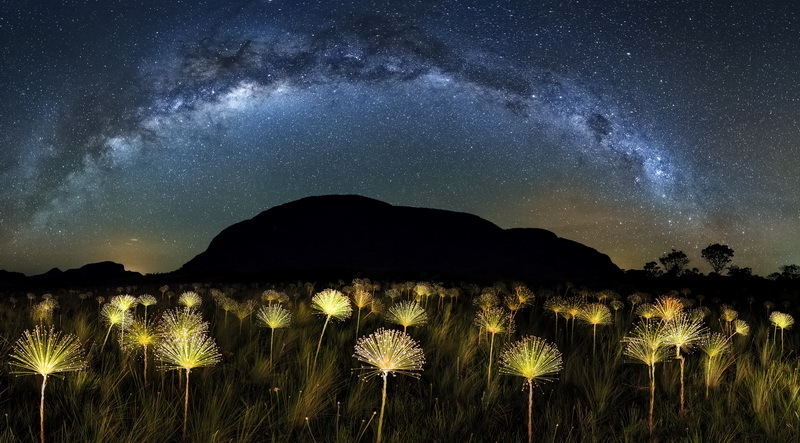 The Paepalanthus is a rare wildflower found only in some parts of the Cerrado, the Brazilian savannah. The mountains in the background are the Whale and Buracão Hills. I used painted light in the foreground and waited for the best time to capture the arc of the Milky Way. These wildflowers are my favourite for astrophotography because they remind me of the blast of the Big Bang and their white petals are like the stars.